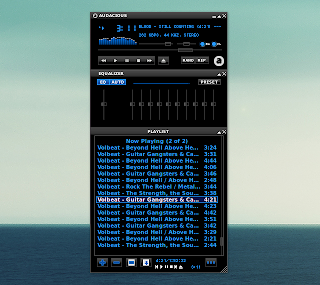 Audacious is an audio player that focuses on high audio quality and low resource usage which comes with a pretty large plugin list as well as two interfaces: a GTK interface and a Winamp 2.x like interface. 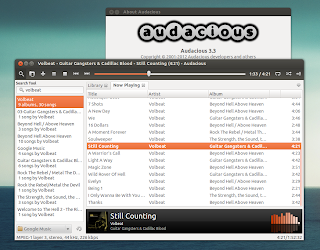 With a bit of a delay, Audacious 3.3 stable is now available in the main WebUpd8 PPA, for Ubuntu 12.04 Precise Pangolin and 12.10 Quantal Quetzal. The new version brings GTK interface improvements, partially re-written core output which now supports to vary the playback speed without restarting playback (there's a new plugin that takes advantage of this), a more intelligent search that lets you search by artist, album and song title in the same time and more. For other Linux distributions and Windows, get Audacious from its download page.